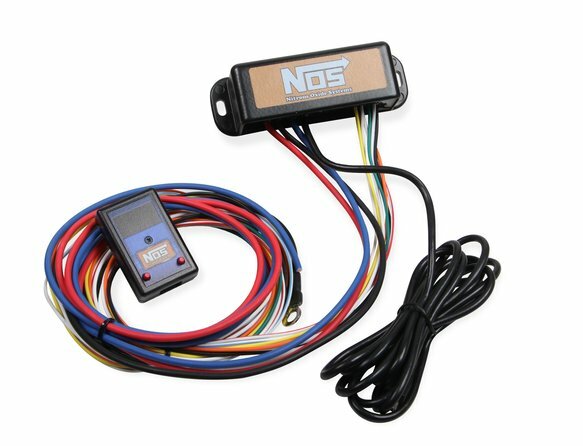 Nitrous Oxide Systems is proud to announce their new Mini 2 Stage Progressive nitrous controller. Featuring two completely independent stages of nitrous control, each with its own throttle position activation switch and progressive ramps. It allows you to get the most out of your nitrous system and put more power to the ground when traction is at its best. RPM on/off control eliminates the need for a window switch and allows you to turn the nitrous off and on at set points. It also features two programmable outputs, so you can control timing retard or other devices. With the hand held programmer, it makes programming quick and simple and allows you to mount the main box out of site. a) Delay time programmable from 0 to 9.9 sec.